Google Docs has become a go-to office suite for every professional out there. It is undoubtedly the most popular one on the market. 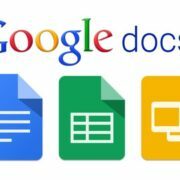 Being the first one to endow the internet with the capability of collaborating documents and pictures, Google Docs brought a radical change in the working styles of several professionals in the contemporary world. This exemplary success lured many others to venture into this unknown territory. As a result, Google is no longer the only provider. The monopoly of Google has ended, and it is not facing stiff competition by other equally equipped options. If you are dissatisfied with the services of Google, you don’t need to lose hope because several free Google Docs alternatives options have been laid out for you. So, here are some best free alternatives to Google Docs. Just like millions of users who use computers in their business, if you are well aware of the famous Microsoft Office Suite, this should be the first alternative on your checklist. 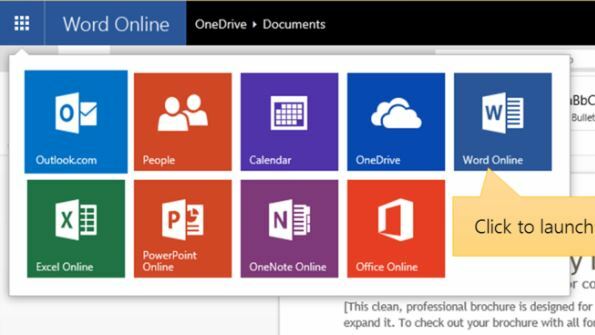 Microsoft Office Online allows you to use the most popular and useful services of Word, PowerPoint, Excel and OneNote online. The service also equips the features with numerous tools to make your work even more relaxed and thus enhance your productivity. If you are a home user, you can enjoy this service at absolutely no cost, and you don’t also need to possess the desktop version of Microsoft Office. One remarkable advantage of availing this service is the incredible fidelity it offers. You can view the documents on your Word, PowerPoint, Excel and OneNote online in the same manner as you do on a desktop. The transfer of Excel and PowerPoint files is also similar. 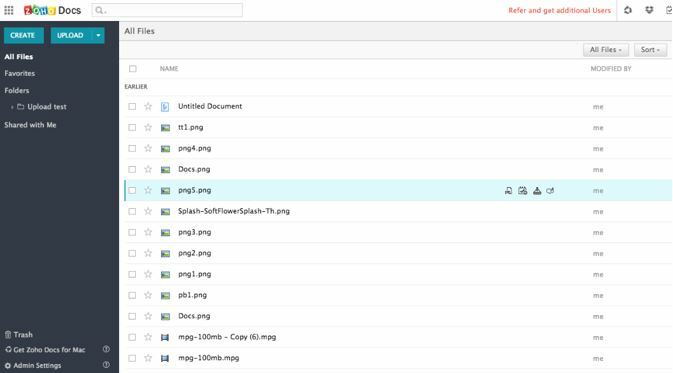 If you don’t want to spend hours acquainting yourself with any new interface, this alternative is the best bet for you because of its reliance on the same ribbon that Microsoft has been relying on since more than a decade after the launch of Office 2007. Just like every other good thing, this service also has a drawback. There is no upload option in the apps themselves. 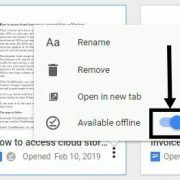 And to avail this option, you either need to upload a file from your computer on OneDrive homepage or employ the OneDrive integration that comes by default with Window 10. Through OneDrive, you can easily sync all your uploaded documents with the free Microsoft apps available on iOS, Android and Windows phone. If you know how to use Dropbox, you can take help of the same too. You can also download the files as Office files or PDFs. If you use Libre Office package on your desktop, you can also download the file in an open document format. Thus, the multitude of benefits associated with this service lure the consumers and Microsoft Office online has emerged as one of the best alternatives to Google Docs. Here is the link to start. Anyone who operates a computer has heard of Microsoft Office. However, only some of us may have heard of Zoho Docs in the past. This fantastic Indian origin company is overlooked despite having successfully put together an attractive suite of software. The user interface of Zoho Docs is neat yet easy to use. The interface differs from Google Docs and tends to incline more towards the constant ribbon of Microsoft. Thus, this free Google docs alternative users can comfortably familiarise themselves with the interface in no time. Zoho Docs is versatile. You can upload Microsoft Office and Libre files or even use it to make necessary changes to your PDF files. You can also enjoy the perks that come with the mobile version of Zoho Docs which you can easily download on your iOS and Android. This way, you can save a considerable chunk of your valuable time by being able to edit documents on the go. If you are a Windows, Linux or Mac user, you can also avail the offline version which automatically syncs the changes to your documents online. If you are a Dropbox user, you can also use a single folder. The best part is that you can enjoy all these services along with 5GB storage for free if you are an individual customer or run a business with 25 members or less. If you need capacity beyond that, you need to pay 5$ per user per month for 50GB of memory and 10$ per user per month for 100 GB of memory. Here is the link to start. OnlyOffice is a newbie as compared to the other options on the list. However, it is no less and can be trusted to have your back as a mature product. Due to its recent launch, it is also available as a free service for personal use. OnlyOffice also allows you the freedom to upload your documents, spreadsheets or presentations using either Microsoft Office or Libre Office. Till recently, only an iOS version of the service was available. Now, you can enjoy the service on your smartphone both on iOS as well as Android platforms. One of the significant advantages of Only Office is its ability to provide you cloud storage and thus sync your Google Drive, DropBox, Box, OneDrive, ShareDrive and Yandex.Disc accounts. If you are a geek, there is good news for you. Since OnlyOffice is based mainly on open source software, you can quickly check out the source code on GitHub. This service has immense potential for network administrators as it is also possible to deploy OnlyOffice on your server. Link to start with it. 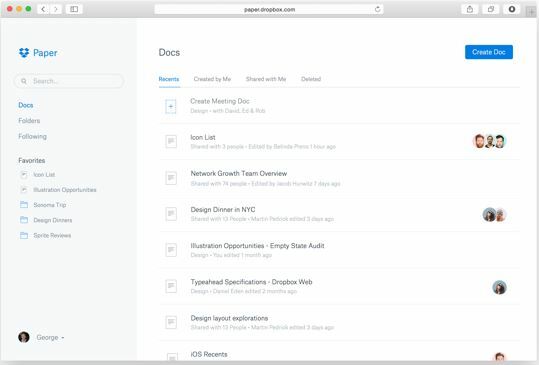 DropBox Paper is another best free Google Docs alternative focuses entirely on text documents and does not pay attention to presentations or spreadsheets. The service has a minimalistic yet attractive interface. Although it lacks in its facilities for presentations and spreadsheets, it efficiently makes up through a vast area for comments and support for flashy embedded media like emoji. DropBox does not aim to develop an alternative to Microsoft Online or Google Docs. Instead, it seeks to facilitate collaboration. Office Suites come and go in the market, and some of the options mentioned on the list may also lose their charm soon. 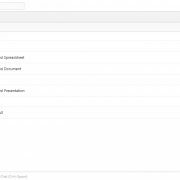 Overall, Google Docs is a fierce competitor with a robust stature that is hard to replace. It is only expected to get better with time. Link to use the DropBox paper. 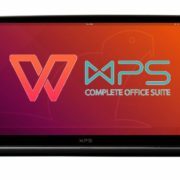 How to download and install WPS office on Ubuntu via command terminal?